Canada Day is a public holiday across the country, celebrated July 1. Some businesses and offices close for the occasion, though not as many as during Quebec's Fête Nationale, the national holiday for French-speaking countries. When Canada Day falls on a weekend day, then those same businesses and offices generally close on either the Friday prior (if it falls on a Saturday) or Monday after (if it falls on a Sunday). In 2019, Canada Day falls on a Monday. 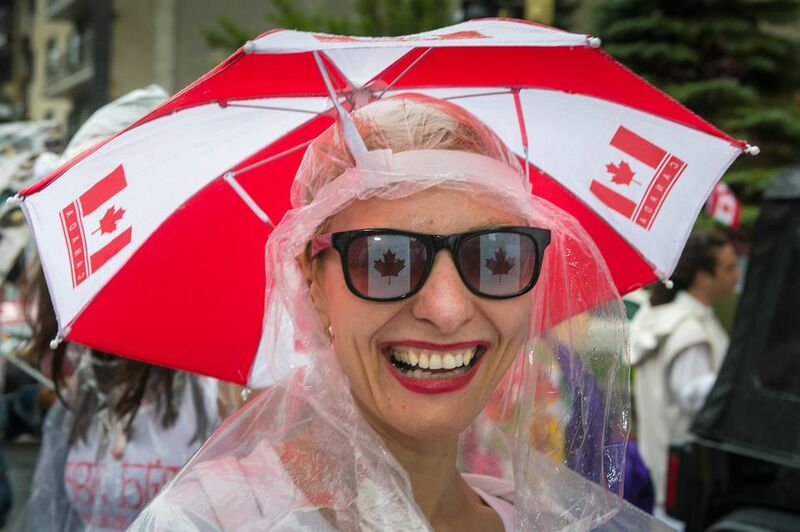 The open and closed list below sums up what to expect on Canada Day in Montreal, but it isn't exhaustive enough to cover every mom and pop shop, restaurant and retail store, and government branch in town. If in doubt, call the business or agency directly for information. For those of you ready to celebrate, here's a list of Canada Day events and activities in Montreal. Note that because Canada Day in 2019 falls on a Monday, these businesses and offices, as a general rule will be closed that day. Grocery stores/supermarkets smaller than 4,036 square feet (375 square meters) can open at their leisure, but hours and staff count may be reduced. Bookstores, flower stores, and antique shops can remain open if they desire. All SAQ liquor stores remain open except for those located inside shopping malls that don't have doors that open directly onto the parking lot or through a movie theatre. In other words, if you have to walk through a mall hallway to get to a given SAQ, then it's closed. Service-based businesses such as hair salons, restaurants, gas stations, and manufacturers are free to remain open at their discretion. Some arenas, swimming pools, gyms, and sports centers remain open and others don't, depending on the neighborhood. Call 311 for details. Parking meters are always in operation (no freebies). Garbage pickups and recycling generally stay on schedule with occasional exceptions; call 311 to double-check. What Is Quebec's Patriots Day Journée des Patriotes? And Why Doesn't Quebec Celebrate Victoria Day?